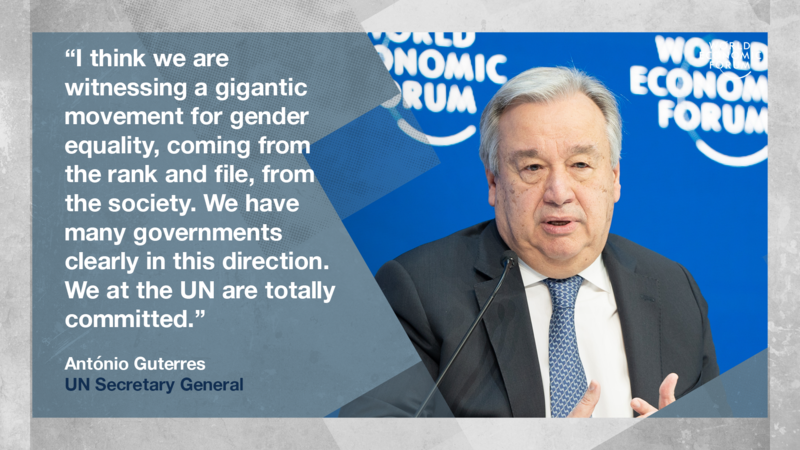 UN Secretary-General Antonio Guterres spoke about global risks and his priorities for the future. "My own point of view is that it's a fantastic start in treating privacy as a human right. I hope that in the United States we do something similar, and that the world converges on a common standard," Nadella said. "You don't start educating a child when they are five years old. The effort starts when the baby is still in the mother's womb, and benefits from a well-fed mother," said Kagame. "The silence [of women] is really a strong tool of rapists so they can go on destroying girls and women," he said. "If she stays in silence, she can be raped again and again. And she can’t protect others." Read more about the problem of e-waste and the report's main findings (including what we can do to solve this critical issue), here.